Susan Saxton plays the bagpipes, and Billy Germelman the snare drum, as members of the City of Winchester Pipes and Drums perform in downtown Winchester during the third annual St. Paddy’s Celtic Festival in March 2018. The City of Winchester Pipes and Drums will host a fundraiser, a Robert Burns Dinner, from 6 to 9:30 p.m. Saturday at the Clarion Inn and Conference Center. Tickets are $50 per person, advanced sales only. The event is open to the public. Tickets are available by calling 540-662-5780, or from any member of the City of Winchester Pipes and Drums. Funds are used to support the band activities and to support scholarships to young students wishing to study the traditional music of Highland piping and drumming. The Virginia Center for Literary Arts Author Series at Handley Regional Library continues with Egyptian novelist and journalist Ahmed Naji. At 2 p.m. Saturday at the library, Naji will read from his work and discuss the ordeal of being imprisoned for “violating public modesty,” as a result of calculated outrage based on an excerpt from his novel “Using Life.” This is a free event. Copies of his book will be available for sale and signing. View a projection of the night sky in a pop-up planetarium, including planets, constellations, and more from 11 a.m. to noon Saturday in the library at Blandy Experimental Farm in Clarke County. Learn about planetary motion, and hear stories and myths about constellations with Jennifer Coleman of the Shenandoah Valley Discovery Museum. Recommended for those age 6 and above with an adult, but all are welcome. Cost for Foundation of the State Arboretum members and the University of Virginia Alumni is $10; nonmembers pay $15. Member/Alumni families pay $20, and nonmember families pay $25. Reservations required. Register online at blandy.virginia.edu (click on “Register for Programs Here”) or call 540-837-1758 Ext. 224 M-F, 1-5 p.m., for assistance. Scottish musicians Kevin Henderson and Neil Pearlman will perform at 8 p.m. Saturday at Barns of Rose Hill, 95 Chalmers Court, Berryville. Tickets are $15 in advance, $20 at the door and free for ages 12 and younger. Information: 540-955-2004 or www.barnsofrosehill.com. The fourth Shenandoah Valley Runners Winter Series race, the Poker Run Five Miler, will be held at 9:30 a.m. Saturday at the Bowling Green Country Club-South, 500 Bowling View Road, Front Royal. Registration fee is $10 for adults and $5 for students and seniors. 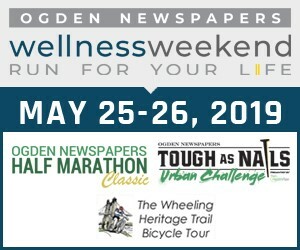 For more info., contact race director Colleen Snyder at 540-305-4944. Winchester Little Theatre will present “The Music Lesson” at 8 p.m. today and Saturday and 2 p.m. Sunday at 315 W. Boscawen St., Winchester. Future performances will be held Jan. 17-20 and 24-26. Tickets are $20 or $60 for a party of four. Information: 540-662-3331 or Valerie O’Keefe at 540-336-2357 or www.wltonline.org. BERRYVILLE — Lonesome River Band will headline Saturday night’s Berryville Bluegrass Series concert. ShadowGrass, a group of young musicians from Western North Carolina and Southwestern Virginia, will also perform. The concert begins at 7 p.m. at Clarke County High School, 627 Mosby Blvd. in Berryville. Doors open at 6 p.m.
Tickets are $29 at the door.